I’ve written a few articles about Minimum Viable Products (MVP), and after deliberating with various entrepreneurs about what they believe is their MVPs, I wanted to do more research about the concept. I found an article by Vishal Chandra called “Understanding Minimum Viable Product : MLP vs MVP vs MSP” referencing not just an MVP but two other Minimums: Minimum Learnable Product (MLP) and Minimum Saleable Product (MSP). Eric Ries, author of the Lean Startup, defines a minimum viable product as the initial step to begin the learning process as quickly as possible – paramount to the central idea of the ‘build-measure-learn’ feedback loop. Minimum Learnable Product – the minimum product needed to learn what will need to be built for the MVP. These can include designs, articles/ blog posts and the conversations that flow from them, surveys, etc. Minimum Saleable Product – the minimum product that motivates customers to pay for the product. In this case, Vishal cites an MSP for B2B customers may include additional features like security, integrations to other tools, etc. I definitely see how MLPs and MSPs fit in the startup cycle (product, marketing, sales, etc.). However, I’d argue that MVPs can be saleable, too, but not necessarily SCALEABLE. For example, a new clothing subscription service may manually curate subscription boxes while charging customers. That enables the startup to learn the process, pricing, etc. But as the company grows, they may then build a robust “fitting” engine that takes earlier learned lessons into an algorithm. There was no MSP per se as much as the MVP evolved as they should as the product reaches product-market fit. What are your thoughts on distinguishing other minimum viable/ learnable/ saleable products? What are other minimum _____ products, and how would they work? I sometimes ask those who meet me what their perceptions of me are, especially initially. Two years ago, I constantly heard responses saying I was “intense”. At that point, I realized I was highly opinionated on how to do things and was vocal about it. I overlooked certain faults believing I wouldn’t fall prey to others’ mistakes despite countless advisors saying otherwise (i.e. taking too long to launch, difficulties of equal ownership and responsibilities between partners, etc.). Now, I’m a more seasoned entrepreneur. I now advise many entrepreneurs and startups, and I find myself giving similar advice to the ones I received. Even though many entrepreneurs ask for advice, however, I know most won’t listen to ideas contrary to their beliefs. I get it. There’s a certain air of confidence about entrepreneurs with their visions and a rite of passage they must go through. Now when I advise others, I focus on one or two areas, so at least they have a single big take-away. At least then, I hope my message resonates better; and thus, they can overcome the missteps I made. Of course, it’s perfectly okay to ignore advice… mostly. When you ask 100 entrepreneurs to solve a problem, you’d probably get 100 different ideas. Entrepreneurs are visionaries, solution creators, problem-solvers… and we pursue entrepreneurship not because we want to, but because we have to. We believe we can do it better. With that, we are highly confident in our abilities and our vision. That confidence and break-down-barriers approach give us the energy to try new things, learn if we’re right or wrong, iterate, and keep going. That is what entrepreneurship is all about… adapting. The more bruised or scarred an entrepreneur, the better. Confidence in our vision and fail (or succeed) is our rite of passage. In my last post Want Work? Start a Relationship, I touched on having a strong brand. I want to follow up on branding because when people ask me about finding work, they ask wondering if they can do the same or how to start a business in general. When I was getting my MBA at Emory, I was working on two startups – Body Boss Fitness and Beachscape (as a Co-Founder and as a consultant, respectively). Getting started at Emory, my classmates (and others today) were interested in how I started. Many would lament the lack of ideas to start a business. However, you don’t necessarily have to have a new, innovative idea to start a business. I’m not saying not to be disruptive, but businesses start every day without disruptive products or services. Opportunities for wealth are many and large enough that grabbing even a sliver can reap meaningful returns personally, professionally, and yes, monetarily. The most critical element starting and especially sustaining long-term growth is branding. Branding… meaning the relationship between the company and consumers (both buyers and non-buyers). Innovations like the iPhone are great at getting market share, but in the long-run, even despite patents, innovations become commoditized. What’s left is the relationship between company and buyer. Consider how many accounting firms there are. How about consulting companies? Or how many services do delivery? Businesses start out as products or services, but must quickly shift to become relationships-oriented. Consulting firms live and die by relationships. Apple has its loyal customers decked out in Apple gear standing in line for days waiting for the next iThing. Why? Because consumers trust these companies, and are eager to show loyalty. Strong relationships àstrong brands. What’s another mechanism for long-term growth and sustainability? Why or how would branding and relationships not be a key driver for initial success? How would you address the problem of creating more companies and more “noise” in the marketplace? I get many questions on how I find my consulting opportunities. Since Body Boss, I’ve been working different consulting gigs from supply chain consulting to website development to product management and the like with clients from Canada to local retail companies to startups. My simplistic response: “have great relationships”. Maintain relationships. My previous life as a consultant in a startup firm allowed me to get amazing experience working with decision makers. Many of those same people want to work together again and again. Say hello. I get many opportunities from just simple introductions to strangers in everyday places. For example, I met a woman at Starbucks who later introduced me to her boyfriend who wanted to redesign his digital assets for his retail store. Be flexible. I’m a generalist, and it’s been my advantage to work with companies in many capacities. For example, I have two recent opportunities in front of me: 1) technology consultant in China; 2) a talent manager for a burgeoning artist. Confident self and strong brand. I’m honest in my interactions, so many people see me as confident and genuine building a relationship on trust. As I mention more about my experience and my blog, others see me as an expert. Doesn’t take much from there to work together. Never hard sell. Everything is relationships-based (think: brand) – it’s the only real advantage companies have. When I meet anyone, I never hard-sell. I never need to. We form a relationship based on trust and ability to execute. Opportunities grow organically from there. Get out!It’s hard to do any of the above without meeting new people. I’ve formed great relationships from UK consulate events to network introductions to, yes, Starbucks. Everything starts with an opportunity. What are your thoughts on finding new work opportunities? Where would hard-selling be more appropriate versus softer, relationship-based sells? I wanted to continue on my last post considering the simple agreement for future equity (“safe”) by reviewing a couple examples of how a safe works. Here, the company will issue sell shares at $0.909 per share ($10,000,000 ÷ 11,000,000 shares). Thereby, the company issues 1,100,110 shares ($1,000,000 ÷ $0.909). However, the safe investor from earlier will be issued shares at $0.4545 per share ($5,000,000 ÷ 11,000,000 shares). The per-share price is based on the $5,000,000 cap as it is lower than the $10,000,000 valuation from the Series A fundraise. The safe investor would then be issued 220,022 shares ($100,000 ÷ $0.4545). Note: this assumes the company does not pay back any amount of the initial $100,000 safe investment. Here, the company will issue sell shares at $0.24 per share ($3,000,000 ÷ 12,500,000 shares). Thereby, the company issues 2,500,000 shares ($600,000 ÷ $0.24). However, the safe investor from earlier will be issued shares at $0.24 per share ($3,000,000 ÷ 12,500,000 shares). The per-share price is based on the $3,000,000 valuation as it is lower than the $4,000,000 cap. The safe investor would then be issued 416,666 shares ($100,000 ÷ $0.24). Here, the company will issue sell shares at $0.19 per share ($2,000,000 ÷ 10,500,000 shares). Thereby, the company issues 2,105,263 shares ($400,000 ÷ $0.19). However, the safe investor from earlier will be issued shares at $0.152 per share ($5,000,000 ÷ 11,000,000 shares = $0.19 per share * 80% discount). Notice that the price-per-share must be discounted to arrive at a discounted price-per-share. The safe investor would then be issued 131,578 shares ($20,000 ÷ $0.152). Note: this assumes the company does not pay back any amount of the initial $20,000 safe investment. Valuation Cap: $8,000,000 valuation cap ÷ 11,000,000 shares = $0.72727 per share. Thus, the minimum price-per-share is $0.72727. The safe investor would be issued 137,500 shares ($100,000 ÷ $0.72727). You can find more examples on the Safe primer by the Y Combinator team here. What questions do you have about safes? How do you view safes to be advantageous for both entrepreneur and investor? A friend looking to raise money recently told me a new form of raising money I hadn’t heard of before referred to as a Safe (simple agreement for future equity). 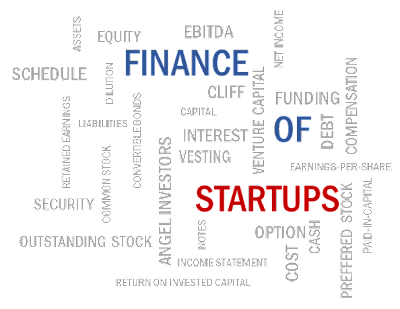 A safe is a mechanism Paul Graham and his YC partner and lawyer Carolynn Levy created as an alternative to convertible notes – refer Finance of Startups: For Dummies (Part 4) for a short description of convertible notes. Safes are meant to remove the clutter and complications of convertible notes in that they are not debts themselves. Instead, they are agreements for rights to the purchase of future stock – goal is to convert safeholders into stockholders. Convertible notes can be highly regulated via their maturity dates, interest rates, etc. Safes, on the other hand, have no maturity date and as they are not debt, are not beholden to regulations regarding interest rates. Safes remove the complexity of having to extend maturity dates as there are none (vs. convertible notes).Safes are converted to equity at specific events such as an equity financing round, liquidity event, or dissolution of the company (insolvency). Like convertible notes, there are variations to the safes – those with a discount, valuation cap, or some combination of those two (with/ without) or none at all – instead, with an MFN (“Most Favored Nation”) provision. Most Favored Nation provision (MFN) are used to amend a safe’s terms with a safe raised at a later date. This is common for safes with no discount or cap set. Note: safe can only be amended once, not multiple times. Safes have been a big hit for YC-backed companies, and have been finding traction here in ATL for early stage startups looking to raise funds quickly without the battle over valuation. For more details on safes, check out this primer. What are your questions about safes? If you were a startup or investor, what would your apprehensions about safes be? Versus convertible notes? I was recently introduced to a wantrepeneur building a platform with an experiential method of consuming media with an ecommerce side to it. I’m skeptical of the experiential component. Then again, I’m skeptical of a lot. Instead, show me the numbers (user engagement, traction, and any revenue numbers). However, she has none to show, and isn’t actively able to provide any. She has a great v1.0 already that can be marketed to test traction and gather feedback, but she’s reluctant, opting for a feature-full release. After months with v1.0, progress is on hold as she seeks funding to build her “needed” features. ZERO users. ZERO revenue. Ideas on business model, but that’s it. Trying to raise six figures. That’ll be tough. Seeking funding takes TIME! My friend underestimates the efforts to raise funds — prospecting potential investors, setting up meetings, creating pitch decks, etc. With or without funding, what’s happening? Her “startup” is stagnant. There’s no feedback from users (none anyways). No product development. Each day that passes, the market evolves, and a competitor entrenches itself with the market. Life happens. How do you cope? My friend’s early partners have left due to life complications. This happens. However, she’s stuck unsure of how to proceed like hoping a good, cheap developer falls into her lap. Raising funds with no traction in a difficult-to-defend market?! Startups and entrepreneurship are today’s “it” thing, so there’s lots of noise from those seeking money. Investors mitigate some risk by startups’ traction. What are the traps of seeking funding while still in the early stages of product development? How could entrepreneurs be successful in raising capital without traction?